They say you are the company you keep. If so, we were understandably over the moon to be honored by Red Herring’s editors for their Top 100 Award for outstanding entrepreneurs and most promising industry disruptors – a distinction previously conferred on start-ups like Alibaba, Facebook, Google, Kakao, Skype, SuperCell, Spotify, Twitter, and YouTube. Co-founder and CEO Niall Murphy went to the event in Amsterdam with a cut in his strut, and a glide in his stride (to paraphrase Mr Tom Waits from Nighthawk Postcards), to mingle with fellow tech entrepreneurs, corporate strategists, venture financiers, founders, investors and CEOs of disruptive companies from across Europe. We’re honored to be selected be Red Herring editors as one of the cutting edge companies changing our societies and economies – and especially pleased that this comes on the heels of winning a Bloomberg Business Innovators Award earlier in the year. 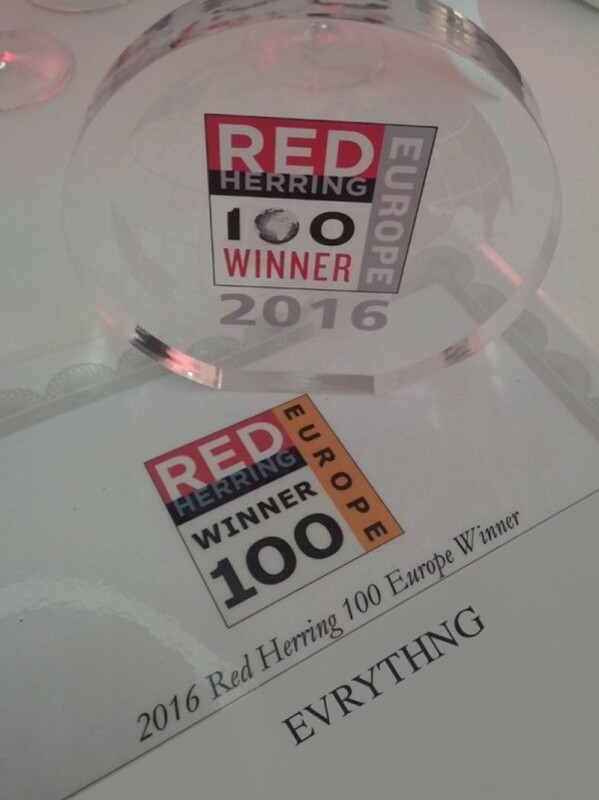 You can see the full list of 2016 Red Herring Top 100 winners here.